As the Sydney market is becoming harder to buy in to or even get a rental property, which is why many people are heading north to QLD to escape. 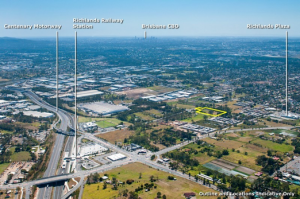 A great up and coming area just on the outskirts on Brisbane CBD is Richlands. Located 15kms from the CBD, this suburb is set in a prime position within South East Queensland’s western corridor. With its location being still so close to Brisbane, Richlands has a strong economic and population growth. We also have our featured Investment Property of the Month in Richlands and don’t forget to use our free property investing calculators to calculate out all your costs and how much you can borrow to invest on our Investment property Area of the month or any other Property Investment.